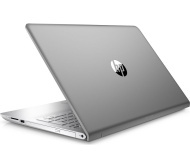 alaTest has collected and analyzed 26 reviews of HP Pavilion Notebook 15-cc076sa 15.6" Laptop - Silver. The average rating for this product is 4.4/5, compared to an average rating of 4.1/5 for other products in the same category for all reviews. Reviewers really like the design and screen. The portability and usability also get good feedback. Comments are divided on the size. The price and touchpad get critical comments. We analyzed user and expert ratings, product age and more factors. Compared to other products in the same category the HP Pavilion Notebook 15-cc076sa 15.6" Laptop - Silver is awarded an overall alaScore™ of 88/100 = Very good quality. Good enough laptop performs well. No problems at all with its speed & performance. One small thing I do like is the tiny light on the caps lock button that lets you know its on. good spec laptop, performs well. Worth paying extra for bigger screen and greater resolution. Still lightweight and easy to move round. Good ease of use. Need more USB ports, at least 4 (fitbit tracker, wireless mouse, printer cable and spare). Keyboard (grey on silver) hard to see in strong light. Keep silver exterior but provide white-on-black keyboard. Love the size of the screen. Looks great, slim and lightweight. Rapid SSD even more quicker and more storage when you remove the windows 10 bloatware. Nice laptop - easy to use. Keyboard not easy to read in lowlight - minor issue though!